Facebook has owned up to and apologized for accidentally deleting veteran journalist Ed Lingao’s post that expressed his thoughts against the proposed burial of former president Ferdinand Marcos at the Libingan ng mga Bayani. “The post was incorrectly removed and has since been restored. We promptly restored the content once we realized this, and we’re sorry for the inconvenience caused,” Facebook told the Inquirer in a statement. Lingao for his part said he now has full control over his account after being given a 24-hour ban by Facebook for supposedly violating community standards. 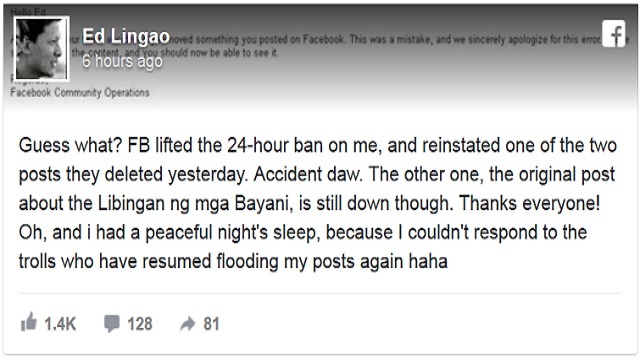 Lingao was apparently banned from posting anything on his account after his post was allegedly reported by Marcos supporters. His friends and others who share the same sentiment started reposting his message which got the attention of Facebook. 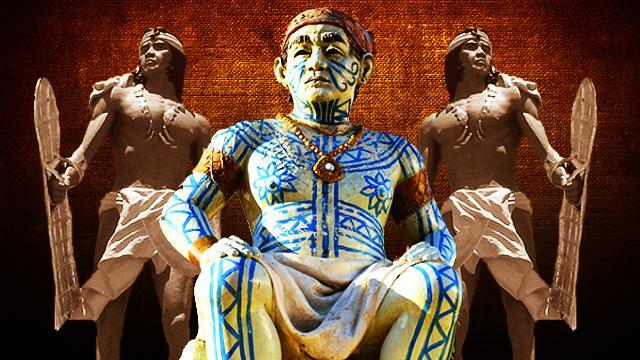 The whole incident stemmed from President-elect Rodrigo Duterte’s decision to finally allow the burial of Marcos in the Hero’s Cemetery which has long been opposed by his detractors. Digong's decision led to public discourse on the sensitive issue, with both pro- and anti-Marcos individuals sharing their opinions on social media. Lingao’s original post has also been subsequently reinstated.